Katherine A. Maraman was sworn in as chief justice of Guam on Jan. 17, succeeding Robert J. Torres, whose term expired. The justices of the Supreme Court, pursuant to statute, held an election and selected Maraman to serve a three-year term. She is the first woman to hold this position. Maraman joined the Supreme Court of Guam as an associate justice on Feb. 21, 2008. 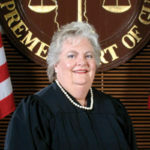 Prior to that, she served as a judge in the Superior Court of Guam from 1994 – 2008. Before taking the bench, Maraman practiced on Guam from 1977, including positions as assistant legislative counsel for the 14th through 16th Guam Legislatures and as minority counsel. She also worked in private practice before becoming legal counsel to Gov. Joseph Ada in 1988, a position she held until she became a judge. 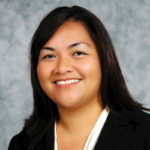 In addition to her service to the Guam Judiciary, Maraman also serves as a part-time justice of the Palau Supreme Court and an adjunct professor at the University of Guam. 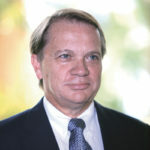 Maraman holds a bachelor’s in economics from Colorado College and a juris doctorate from the University of New Mexico. 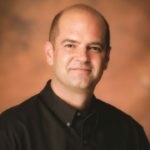 Asia Pacific Hotel Inc., which operates the Fiesta Resort & Spa Saipan in Garapan and the Kanoa Resort in Susupe, appointed Martin Jambor as general manager of Kanoa Resort effective Jan. 4. 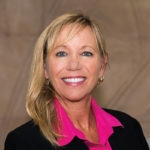 Wendi S. Herring, who had been overseeing both properties since July, will continue as general manager of Fiesta Resort & Spa Saipan. Jambor began his career at the Pavilion Hotel in Sydney and transferred to front office management positions at the Hotel Josef in Prague in 2006. In 2012 he was appointed resident manager at the Maximilian Hotel, an affiliate hotel. In 2014 Jambor assumed the position of resident manager of Fiesta Resort & Spa Saipan. Jambor holds an advanced diploma from the Kent Institute and Bridge School of Travel and Tourism in Sydney, as well as a master’s from Prague’s Charles University. 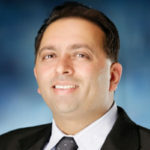 He is also a graduate of Cornell University’s general manager program. Herring has been general manager of Kanoa Resort since February 2015. Herring started her career at the Pacific Islands Club Saipan as a management trainee and was promoted to assistant director of sports, entertainment and activities for PIC Phuket in 1991. After opening the Thai property, Herring returned to Saipan in 1992 to assume positions as director of sports, entertainment and activities, rooms division manager, executive assistant manager and general manager in 1999. 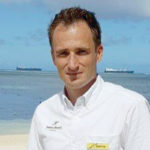 From 2009 to 2012, Herring was resident manager of PIC Guam. Herring holds a bachelor’s from the University of California at Berkeley and is also a graduate of Cornell University’s general manager program. 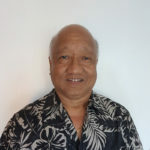 Herring represents Asia Pacific Hotel and Tan Holdings through various community and industry associations including as vice chairperson of the Marianas Tourism Education Council, board member of the Hotel Association of Northern Mariana Islands and member of Soroptimist International and the Saipan Chamber of Commerce. Guam Auto Spot announced on Jan. 31 its appointment of Joshua F. Tenorio as vice president. He was most recently administrator for the courts since 2014 and served as director of policy, planning and community relations since 2011. Tenorio has served as the legislative assistant to former Congressman Robert Underwood and as deputy chief of staff to former Gov. Carl Gutierrez. He served as the director of the Guam Bureau of Statistics and Plans, chief of staff to then Vice Speaker Benjamin J. Cruz and judiciary committee director under former Sen. Randy Cunliffe. 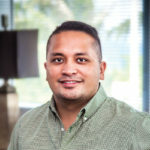 Triple J Enterprises Inc. announced on Feb. 13 the appointment of Jude Diaz as director of human resources for its Guam operations. 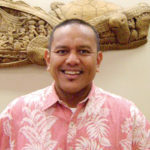 Diaz joined Triple J from the Hilton Guam Resort & Spa where he was a human resources manager for the past five years. Diaz is an active member of the Guam Hotel & Restaurant Association and is the chairman of the Human Resources and Education Committee and the 2015 recipient of the GHRA Supervisor of the Year award. 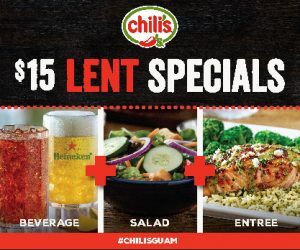 He holds a bachelor’s in business administration with a concentration in human resources from the University of Guam. He is also a member of the National Society for Human Resources Management Guam Chapter. The Judicial Council unanimously approved the appointment of Deputy Marshal Supervisor Troy Pangelinan as the Marshal of the Court on Jan. 19. He was sworn in on Jan. 23. The position was made vacant when former Marshal of the Court Edward Toves retired on Dec. 23. Pangelinan holds a bachelor’s in criminal justice from the University of Guam and has extensive experience in law enforcement and dignitary protection. He became a deputy marshal I in 1997 and has served the judiciary since then. 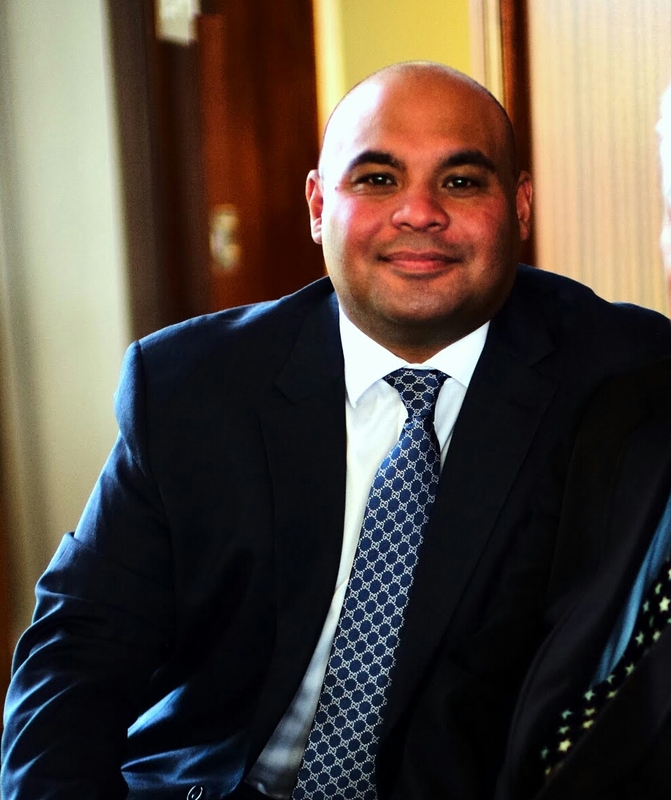 He has served as the acting chief security officer of the Supreme Court of Guam for more than seven years and as a deputy marshal supervisor for the last four years. The University of Guam named Joseph Gumataotao as its equal employment opportunity and Title IX director and Americans with Disabilities Act coordinator. Gumataotao had been operating a private law practice for the last year. He holds a 2004 bachelor’s in communication from UOG with a minor in political science. He holds his doctorate of law from the Ave Maria School of Law in Naples, Fla. 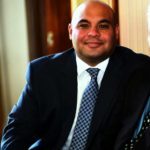 He previously worked as a senior law clerk with Superior Court Judge Anita Sukola and has experience as a policy research analyst at the Guam Legislature. 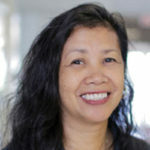 The University of Guam named Sallie S. Sablan as its student academic counseling specialist with Americans with Disabilities Act specialization. Sablan holds a 1983 bachelor’s and 1988 master’s from the Western Kentucky University. She previously served as the education and disabilities manager for the Guam Department of Education Headstart program. Charlotte Huntsman joined G4S on Dec. 19 as director of human resources for Guam and the Northern Mariana Islands. Huntsman was previously chief officer of human resources/people relations at Guam Regional Medical City since October 2013. She has more than 17 years of human resources experience and has managed a variety of departments across different sectors. Huntsman holds a 1989 bachelor’s in social sciences from the University of California, Irvine, and a 2008 master’s in management from the University of Phoenix. The Guam Chamber of Commerce announced on Jan. 18 that the board of directors elected its officers for the 2017 administrative year. Joe M. Arnett, senior advisor for Deloitte & Touche LLP, was re-elected secretary and treasurer. Immediate Past Chairwoman Laura-Lynn V. Dacanay, vice president of 3D Rentals; Special Executive Committee Member Robert Salas, president of Landscape Management Systems Inc.; and Guam Chamber of Commerce President Catherine S. Castro join Shringi, Herbert and Arnett to comprise the executive committee effective Jan. 18. Christopher Duenas was named president of the Guam Housing Corp. The former senator previously worked with Guam Housing Corp. as the director of the Department of Land Management and as a senator in the 31st and 32nd Guam Legislatures. Most recently, Duenas served as the governor’s adviser on legislative and external affairs. Tracy Guerrero joined Triple J Saipan as corporate controller on Feb. 1. 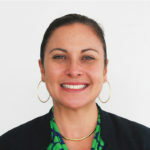 Guerrero holds a bachelor’s from the University of California at Berkeley and a master of business administration from California State University – Hayward. She was most recently the chief financial officer for the Northern Marianas College for around four years. Benjamin K. Petersburg, associate attorney at Berline & Associates LLC, was sworn in as a board member of the Commonwealth Development Authority on Jan. 6. BankPacific announced on Jan. 12 that Marvin Deleon Guerrero joined the company as an assistant vice president and Saipan branch manager. Guerrero has more than 13 years of banking and real estate experience in loans, operations and is a certified BSA officer. He holds a master’s of business administration from Argosy University in Hawaii. 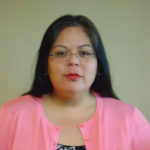 Aurora Pimentel joined BankPacific as an assistant vice president and Hagåtña branch manager. She has 20 years of banking experience in loans and operations and holds a bachelor’s from the University of Guam. Edward Pinaula was promoted to Saipan office supervisor. He has 16 years of banking experience in collection and accounting. 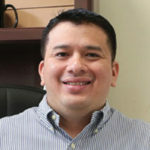 Ernesto Miranda II was promoted to vice president and information technology assistant manager. 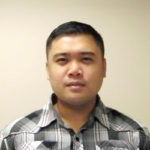 He joined BankPacific in 2006 and holds a bachelor’s in computer information systems from the University of Guam. The Guam Chamber of Commerce announced Melanie Mendiola, project director of Farm to Table Guam Corp., on Jan. 20 as this year’s Reina A. Leddy Guam Young Professional of the Year. Mendiola is also president of the Guam Girl Scouts board of directors, a member of the board of the Port Authority of Guam, treasurer of the Guam Tourism Education Council and was named one of Guam Business Magazine’s “40 under Forty” in 2016. Junior Achievement of Guam announced on Jan. 16 that the 2016 JA Company Program awarded Company of the Year to SOL, representing Simon Sanchez High School, and 2nd Place Company of the Year to Collar Couture, sponsored by Triple J. Junior Achievement of Guam is a non-profit organization that has served more than 5,000 Guam high school students since 1976 in launching business ventures. SOL and Collar Couture will represent JA Guam at the JA Asia Pacific Company of the Year competition in February in Tokyo. United’s MileagePlus loyalty program was voted the Best Overall Frequent Flyer Program in the world for 2016 by Global Traveler. This is the 13th consecutive year United was recognized with this award since the inception of the GT Tested Reader Survey in 2004. The United MileagePlus Club Card from Chase was awarded as Best Credit Card and Best Credit Card Rewards Program and the United MileagePlus Explorer Card as Best Frequent-Flyer Affinity Credit Card Redemptions. United was also named Best Trans-Pacific Airline for the third straight year. For the second time since launching its Eco-Skies program, United Airlines was named the Eco-Airline of the Year by Air Transport World magazine. The award recognizes an airline in global commercial aviation for its environmental leadership as demonstrated by consistent and impactful environmental action within the company and in the industry. United’s Eco-Skies program includes a number of initiatives including using sustainable biofuel in its operations at Los Angeles International Airport and investing $30 million in U.S.-based alternative aviation fuels developer Fulcrum BioEnergy Inc. Team Guam was the overall winner of the annual United Ramp Rodeo in 2016, held among United Airlines employees Nov. 9–10 in Houston. Ramp service employees competed in various areas of airport operations including driving, loading and unloading aircraft, marshalling signals and aircraft pushbacks. Team Guam members included Eddie Olkeriil, lead ramp service employee; Tom Daga, ramp service employee; Rick San Nicolas, ramp service employee; and Joe Rapanut, ramp service employee. Manta Ray Bay Resort in Colonia, Pohnpei in the Federated States of Micronesia placed 19th in TripAdvisor’s 2017 Traveler’s Choice Top 25 Hotels — South Pacific Division. The nine other countries awarded with 2017 Ethical Destinations awards are Belize, Cabo Verde, Chile, Costa Rica, Dominica, Mongolia, Tonga, Uruguay and Vanuatu. Among the reasons why Palau was in the list was that it was the second country in the world, after Fiji, to adopt The Paris Agreement. In social welfare, Palau was lauded for having the highest number of women ever to run for national election. 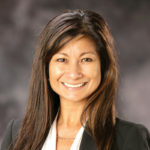 Alternate director: Paula Monk, director of sales, Guam and Micronesia, United Airlines. 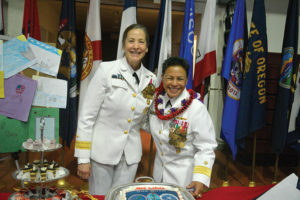 Rear Adm. Shoshana S. Chatfield, left, relieved Rear Adm. Babette “Bette” Bolivar during a change of command ceremony on Jan. 27. Chatfield will serve as commander, Joint Region Marianas; commander, U.S. Naval Forces Marianas; U.S. Pacific Command representative for Guam, the Northern Mariana Islands, the Federated States of Micronesia and Palau; and commander, Task Force West. She reports to Guam after serving as United States Deputy Military Representative to the North Atlantic Treaty Organization Military Committee in Brussels, Belgium.